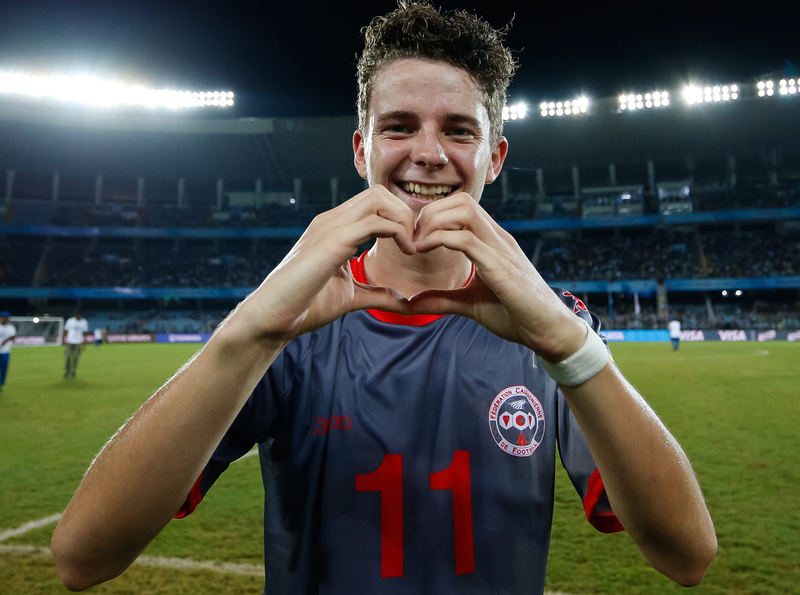 After the experience of a lifetime in India at the FIFA U-17 World Cup, Titouan Richard is determined to make a return to the world stage. But so far things haven’t gone completely to plan for the 17-year-old and his New Caledonia U-19 teammates with the opening loss to Solomon Islands certainly not what they had in mind. “We were missing a bit of motivation, speed in the game,” the Mont-Dore attacker said. Things improved greatly for their second encounter in which New Caledonia demolished opponents Vanuatu with Richard netting twice in the 8-1 rout. New Caledonia coach Felix Tagawa said Richard’s contribution to the squad hasn’t gone unnoticed. “Already in terms of his performance he’s carried out what we put in place as a group,” Tagawa said. Tagawa said Richard is at his best when he has the freedom to be creative. “We wanted him to leg go, play to his qualities. In the final pass, the finishing, we need him to apply himself, be clean and be the difference,” Tagawa explained. With the experience of India 2017 still at the forefront of his mind, Richard is keen to see his side follow up on that success with qualification to Poland. “What India brought me was experience at that level, and an even greater motivation to return to a FIFA tournament. “Since we qualified we can see what it is and that now, anything is possible. First and foremost there is a big final group stage encounter against Fiji and if they’re successful, a semi-final showdown with New Zealand. “We have to win against Fiji to qualify, that’s certain,” Richard states. New Caledonia will meet Fiji in their final Group B encounter at Stade Fautaua in Tahiti on Sunday 12 August at 3pm local (12h NCL/13h NZL).